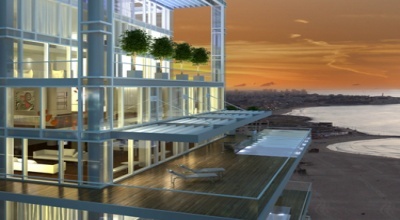 Amazing sea view penthouse (125+71) w/ gorgeous terrace by the beach ! 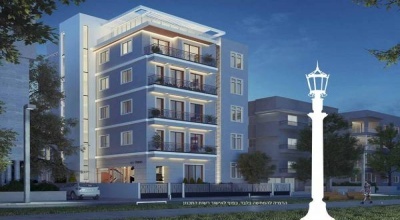 Brand new 2 room apartment (63+12) w balcony in residential complex ! 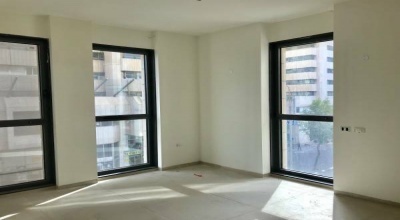 Brand new 4 room apartment in residential complex close to Azrieli ! 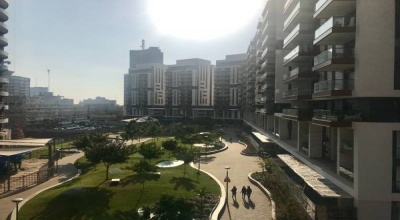 (Neve Eliezer) Located on the 1st floor of a residential complex surrounded by a beautiful park, 5 minutes away from the Azrieli mall, this brand new 4 room apartment features a living-room with exit to an exquisite 14 sqm balcony, an open kitchen, 3 bedrooms, 2 bathrooms and a parking. 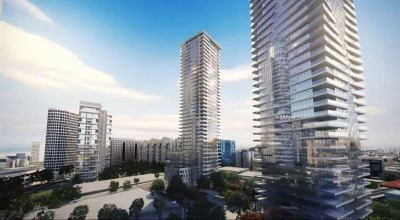 Gorgeous 5 room apartment w/ Old City view balcony in luxury building! 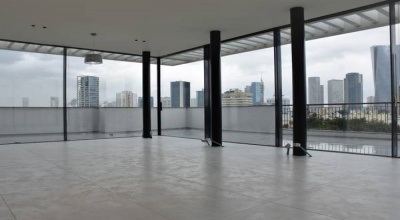 Stunning 6 room penthouse w/ view sukka terraces in prime location ! 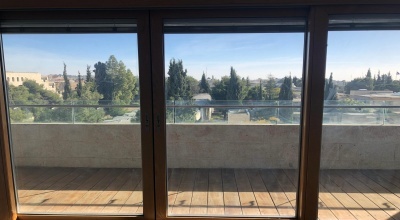 (Baka) Located on the 3rd floor of a preserved Arab-style building in central Baka, within walking distance of Mesila Park and the trendy Emek Refaim St.
Gorgeous two-story garden apartment w/ private garden in central Baka! 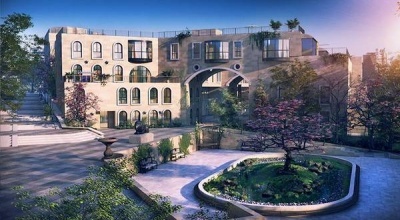 Gorgeous two-story garden apartment w/ private garden in central Baka! 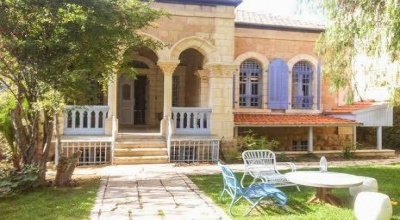 (Baka) Located on the ground floor of a preserved Arab-style building in central Baka, within walking distance of Mesila Park and the trendy Emek Refaim St. 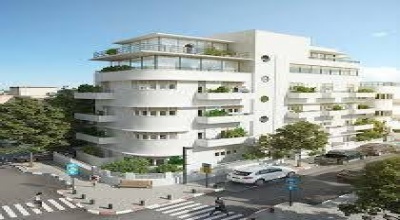 Brand new apartment w/sea view balcony in luxury tower on Rothschild ! 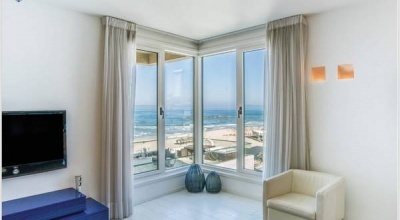 Brand new apartment w/ 2 balconies in boutique compound by the beach ! 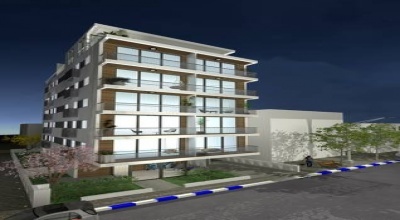 Brand new apartment w/ 2 balconies in boutique compound by the beach ! 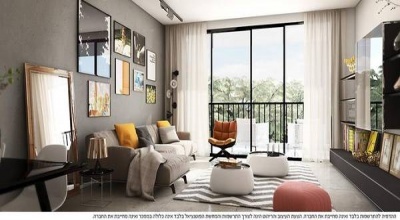 (Noga) Located on the 3rd floor of an elegant building in the trendy Noga neighborhood, within walking distance of the beach, Neve Tsedek and the Tachana, this brand new 3 room apartment features a living-room with exit to an exquisite balcony, a beautiful upgraded open kitchen with an island, 2. 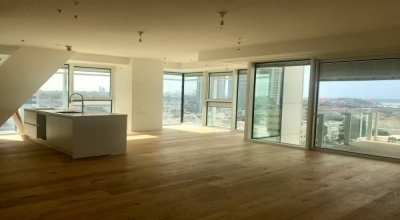 Brand new apartment with Old City view balcony in boutique building ! 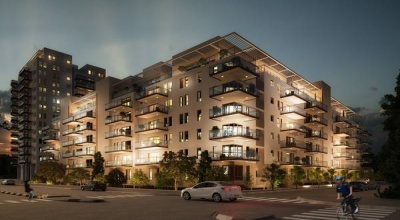 Brand new 3 room apartment in luxury complex close to the Old City ! 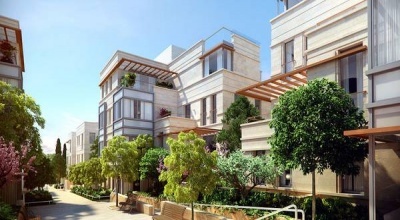 (Mamilla) Located on the 2nd floor of a luxury small residential building in the heart of Mamilla, the city's most prestigious neighborhood, within walking distance of the Old City, Mamilla Avenue and King David St. 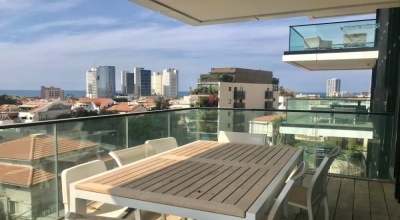 Brand new penthouse (126+18) with sea view balcony in great complex ! 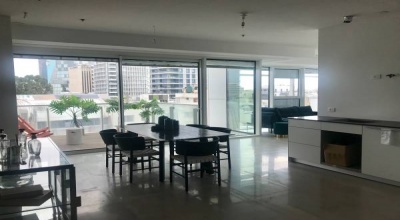 Brand new apartment w/ sea view balcony in the luxury Midtown tower ! 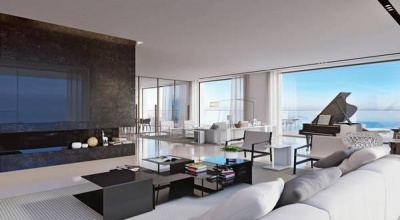 Stunning apartment with balcony in luxury tower close to the marina ! Located on the 2nd floor of a world class wonder skyscraper in the heart of Tel Aviv Old North, within walking distance of the beach, the marina, the port and Dizengof St., with its trendy shops, cafes and restaurants, this luxury 3.5 room apartment features a living-room with exit to a gorgeous 20 sqm balcony, West and North exposures, a high standard American kitchen, 2. 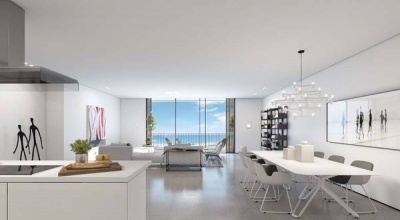 Brand new apartment in wonderful tower with pool by the beach ! 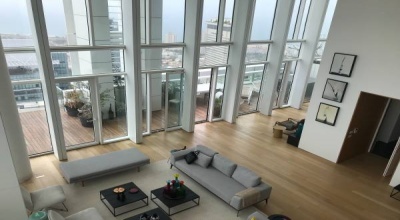 (Tel Aviv Old North) Located on the 6th floor of a world class wonder skyscraper in the heart of Tel Aviv Old North, within walking distance of the beach, the marina, the port and Dizengof St., with its trendy shops, cafes and restaurants, this luxury 2. 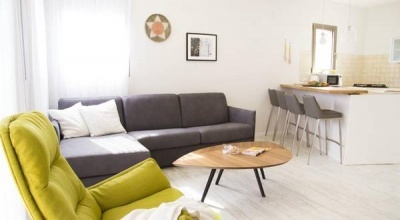 Newly-renovated 4 room apartment close to the Tel Aviv Promenade ! 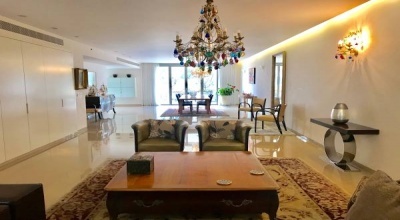 Exquisite furnished 3 room apartment with balcony close to the beach ! 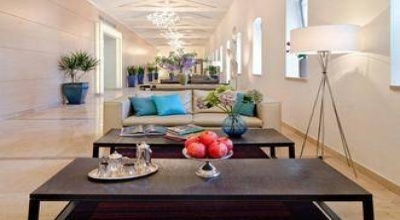 Stunning one level 6 room apartment w/ amazing Old City view terrace ! 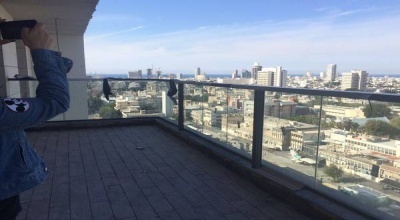 Stunning one level 6 room apartment w/ amazing Old City view terrace ! 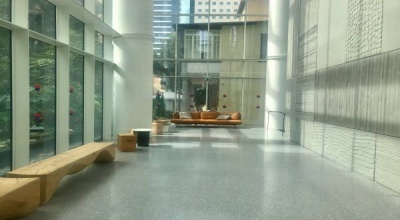 (Mamilla) Located in a recent building with elevator, within walking distance of the Old City, a stunning one level apartment, 300 sqm, very spacious living room with exit to an amazing 75 sqm sukkah terrace overlooking the Old City, 3 exposures, custom luxury kitchen, 4 bedrooms (including 3 master ensuites), 3. Located on one of the most prestigious streets of the Baka neighborhood, within walking distance of the Mesila Park and the German Colony, a one of a kind, authentic and preserved free standing Arab house, 500 sqm, with a huge front garden on a 854 sqm plot. 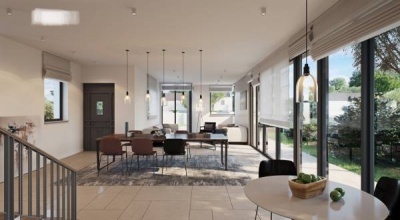 Additional building rights and great potential for extra planning rights. 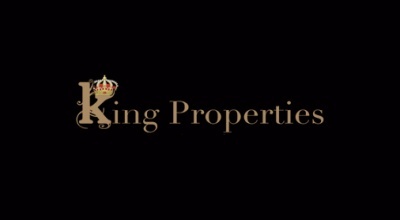 Huge plot of land overlooking the Old City in prime location ! 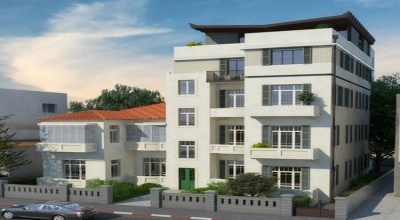 Located on a prestigious, pastoral and quiet street of North Talpiot, within walking distance of the well known Baka and German Colony neighborhoods with their shops, cafes and restaurants, a 2,400 sqm huge plot of land with building rights overlooking the Old City and the Sherover Promenade ! Possibility to build 3 luxury free-standing houses with swimming-pool ! The most magnificent historic Arab House in Jerusalem ! Located on one of the most prestigious streets of the German Colony, within walking distance of Emek Refaim St. and the Mesila Park, a one of a kind, authentic and preserved free standing Arab house, 250 sqm built area on one level, 760 sqm plot size, completely renovated to the highest standards, high ceilings and authentic tiles, gorgeous landscaped garden and private parking. 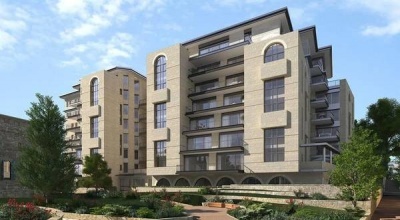 Brand new 4 room apartment (120+12) w/ balcony in boutique building ! 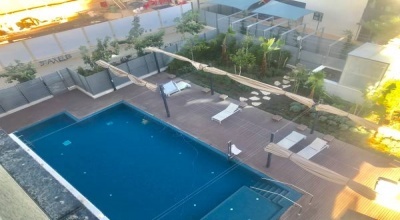 Brand new 3 room apartment (73+10) in luxury tower with pool and gym ! 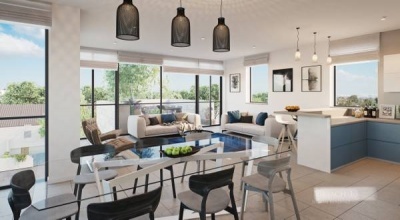 Brand new 3 room apartment (73+10) in luxury tower with pool and gym ! 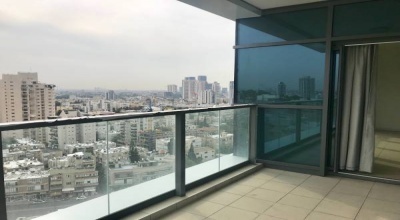 (Neve Tsedek) Located on the 5th floor of an exclusive tower in the heart of Neve Tsedek, the city's most fashionable and picturesque neighborhood, within walking distance of the beach, boulevard Rothschild, Hacarmel market and Shabazi St. 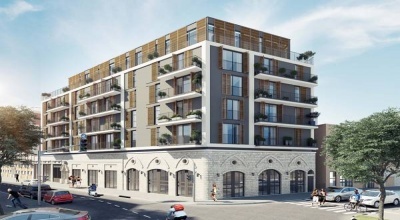 Located on the 2nd floor of a boutique building in the heart of Neve Tsedek, the city's most fashionable and picturesque neighborhood, within walking distance of the beach, Boulevard Rothschild, Hacarmel market and Shabazi St. 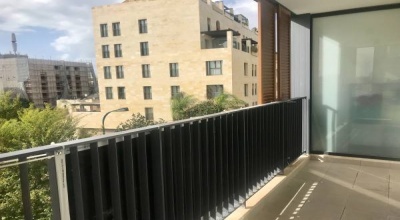 Located on the 17th floor of a luxury tower in the heart of Neve Tsedek, the city's most fashionable and picturesque neighborhood, within walking distance of the beach, Boulevard Rothschild, Hacarmel market and Shabazi St. 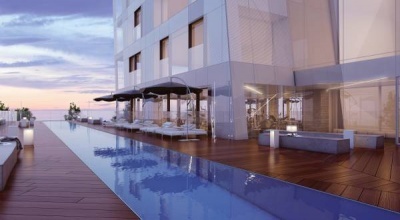 Stunning 4 room apartment (120+11) in luxury tower w/ pool and gym ! 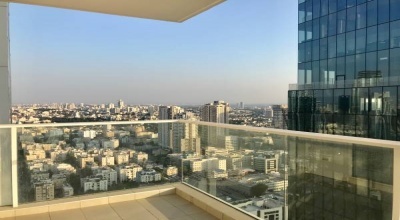 Located on the 15th floor of an exclusive tower in the heart of Neve Tsedek, the city's most fashionable and picturesque neighborhood, within walking distance of the beach, boulevard Rothschild, Hacarmel market and Shabazi St. 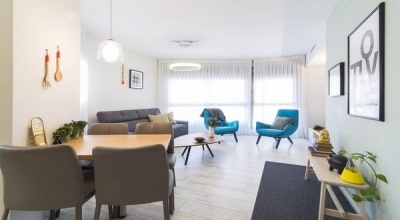 Located in the luxurious J Tower complex, designed by the renowned architect Guy Igra, featuring an impressive residential tower, a boutique hotel and a shopping center, within walking distance of the colourful Machane Yehuda marketplace, the Ben Yehuda pedestrian mall and the central bus station, an exquisite brand new apartment, 48.2 sqm, 1 bedroom, A/C, underfloor heating, intercom, elevator.